Cooncook is an responsive opencart universal theme for online store, can be used to sell a wide range of goods. Light and clean design doesn’t distract buyers and makes browsing the site a lot easier. This theme is compatible with Bootstrap3 framework. 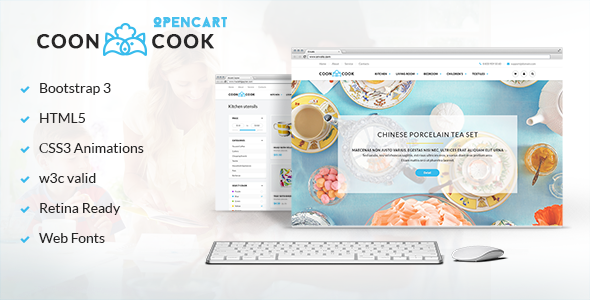 Item Reviewed: Cooncook Responsive Opencart Theme 9 out of 10 based on 10 ratings. 9 user reviews.